This entry was posted in Uncategorized on February 25, 2019 by David. 2019 introduces an extra newsletter that our secretary Mike Dudley has produced. The supplemental Almanack is a personal initiative by Mike to improve communication across the society and also to be an advertisement for our activities beyond. To read or download a copy please click [here]. Please give us feedback on what you think about it. 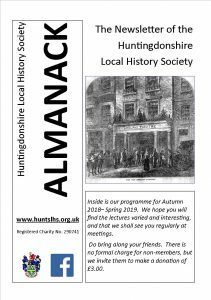 As usual, printed copies will be available at the meeting, so if printing one is difficult, do remember to pick one up, or to do so for some friend who might be interested in the society’s meetings. This entry was posted in Uncategorized on January 3, 2019 by David. For a copy of the Winter 2018/19 Almanack click on the picture of the Almanack below. This entry was posted in Uncategorized on September 5, 2018 by David. 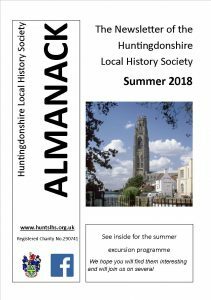 For a copy of the Summer 2018 Almanack click on the picture of the Almanack below. Please click on BOOKINGFORM for a copy of the excursions booking form. This entry was posted in Uncategorized on May 8, 2018 by David. The Minutes of the 60th AGM held on 25th May 2017 and the Treasurer’s Report are available online on page AGM. These reports are to be considered as DRAFT until approved my the members at the 61st AGM. This entry was posted in Announcements, Reports, Uncategorized on April 3, 2018 by David. The window of opportunity for applying for a Goodliff Award for 2018 has now closed. 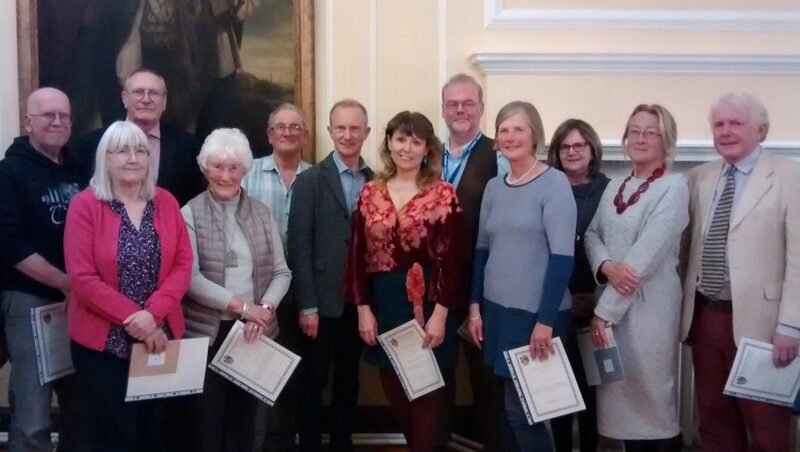 The closing date for applications for this years awards was 31 March 2018. Applicants who wish to apply for an award in 2019 can do so later in the year. We will announce when the application period is open. This entry was posted in Uncategorized on February 5, 2018 by David. 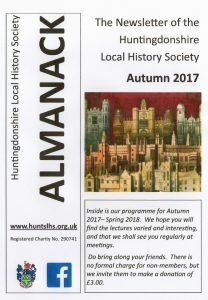 The ALMANACK, the Newsletter of the Huntingdonshire Local History Society, for the Autumn 2017 period has been published and is available. Copies of the current Almanack and previous copies can be accessed from the Publications Tab. You can also find out what’s going on through our diary on the right of the page or by visiting the Future Events tab at the top of the page. This entry was posted in Announcements, Uncategorized on September 24, 2017 by David. This entry was posted in Uncategorized on May 17, 2017 by David. 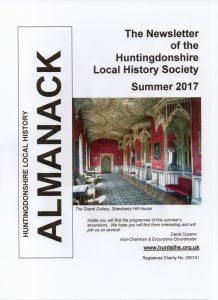 The ALMANACK, the Newsletter of the Huntingdonshire Local History Society, for the Summer 2017 period has been published and is available.